Dr. Shih Chun-jen, a mentor of a generation for Taiwan’s neurosurgeons, and former head of the National Health Administration (NHA), died at Taipei Veterans General Hospital on June 18. Shih, a native of Taichung, received his early education during the Japanese colonial period (1895-1945), and graduated from National Taiwan University in 1947, majoring in medicine. He then joined the National Defense Medical Center, where he worked for 38 years. Shih completed a two-year residency at the Montreal Neurological Institute from 1956-1958, and helped develop the field of neurosurgery in Taiwan after returning in 1958. 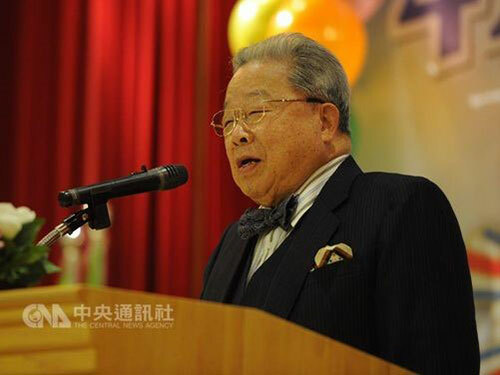 He co-founded the Taiwan Neurological Society in 1977.We extend our sincere sympathies to Shih’s family and friends.